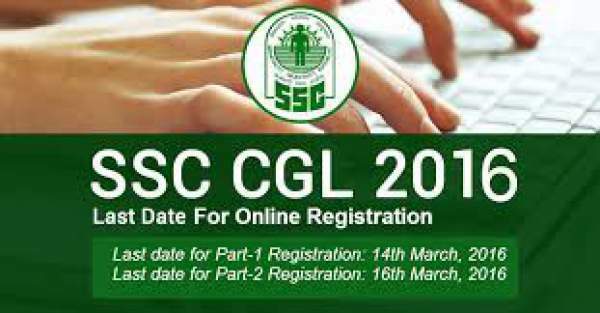 Every year, the SSC CGL exam is conducted in two parts / tiers / stages. The conducting authority has thought to conduct in via only one mode, i.e., computer based. Scroll down and check the complete time table along with syllabus mentioned below. The Staff Selection Commission (SSC) comes under the Government of India. It is the organization responsible for recruiting staff for various government posts for which vacancies come every year. It selects and appoints the eligible staff in the various ministries and departments of the Indian government and in subordinate offices. Like every year, this year too, the SSC will conduct a combined graduate level exam in order to recruit and appoint the eligble candidates on the various vacancies throughout the Indian government’s ministries and subordinate offices. It has already released the time table and revised pattern with syllabus for 2016 CGL exam. According to the new syllabus, the question paper will have a total of 100 questions instead of regular 200 in tier 1. Those 100 questions will carry 200 marks. Thus, the time limit has also been reducted to 75 minutes. From now on, the examination will be conducted on computer. SSC Tier 1 2016 exam is scheduled to take place on 27th August 2016. Check out the pattern below. The mode of examination will be computer based. Tier 3 will have a Descriptive Paper of English or Hindi as per the choice of candidates. The selection procedure of the candidates will be based on their overall performances in all the three tiers. They will have to qualify all the tiers separtely. There will be no sectional cut off marks. For acquiring more information, aspirants can visit the official website.